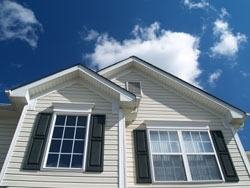 If your home windows are warping, chalking, leaking, or just looking worn or outdated, then the time has come to have replacement windows installed. But, who do you turn to for the installation? Well, if you reside in La Crosse, Wisconsin, or any community in western Wisconsin, then the choice is clear – Clear Choice Energy Solutions. Since 1998, we have been providing homeowners like you with new, energy-efficient replacement windows that look great and perform superbly. We always provide an honest assessment of what is needed rather than trying to upsell or otherwise use shady sales tactics, and our approach has earned rave reviews from our numerous satisfied customers. And, when it comes to the installation, our factory-trained and experienced technicians will install your windows with ease, ensuring years of optimal performance. No other company will work as hard to make sure you are completely satisfied with your home improvement experience from beginning to end. Our vinyl windows are also available in all of the most popular styles, including double hung, bay, bow, casement, sliding, awning, picture, and garden, and are backed by a lifetime warranty for your peace of mind. For those who do not prefer vinyl windows, we offer composite windows that combine a durable, low-maintenance, composite material with high-performance, low-maintenance glass options. These windows also exceed ENERGY STAR® performance criteria and feature multiple weatherstripping paths with interlocking sashes and jambs to reduce air infiltration. Unlike some local window companies that might try to push window replacement services that simply yield them the biggest profit, here at Clear Choice Energy Solutions, our goal is only to provide the very best solution to meet your needs. Oftentimes, this can include performing a more affordable, less-invasive installation – a pocket replacement. If your current window trim is still looking sharp, then we will install new windows within the existing frames. This is an excellent option for homeowners with wood frames who want to continue to capture that natural beauty of real wood, but pocket replacements can be a tremendous solution for anyone with undamaged framing and will inevitably lead to savings on new window installation. Contact Clear Choice Energy Solutions today and experience the clear difference. We would be happy to schedule a consultation to discuss home replacement windows and explain to you why we are the window installer of choice in La Crosse, WI, and other western Wisconsin communities.